A lot of people ask me how to get started with a new website. 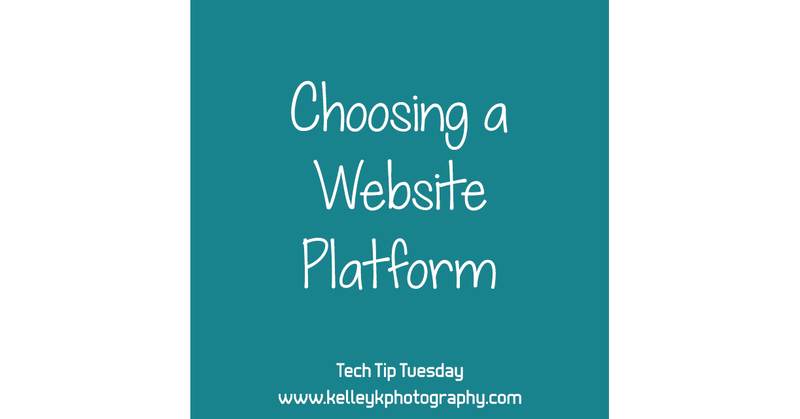 I have a few main website platforms that I recommend, and I thought I’d provide a brief description of each so that you have starting point for setting up a new site or redesigning an existing site. All of these options are designed so users can design and maintain their own sites if you are somewhat computer savvy. However, if you’re uncomfortable with web technology or want to do something a little more advanced than you can figure out on your own, you may prefer to hire a web designer. I started designing web sites 20 years ago, and over the years I’ve used a variety of platforms, but in recent years, I have focused on WordPress sites. WordPress is the biggest player in web design these days is WordPress, with 25% of all websites powered by WordPress, much more than any other content management platform. There are other options I will discuss that may appeal to you more than WordPress for your website needs. WordPress started as free blogging software, but its flexibility is what helped it become a thriving platform for all types of website design. Because WordPress is so popular, there are a ton of resources for learning how to use and design a site in WordPress. What you may not know about WordPress is that there are actually two different types of WordPress sites. WordPress.com is a hosted web site with free and paid annual plans – nothing to download or install, just sign up and go. You can also download the free WordPress software from WordPress.org to install and run on your own hosting account. The easy option to get started is to sign up with WordPress.com. They offer free accounts for life, although you will have to pay for an upgraded plan if you want to remove ads and have your own domain name (like sitename.com vs sitename.wordpress.com). There are other limitations on the design and functionality of even a paid WordPress.com site, so while it may be great for a simple starter site, as your site grows, you may eventually need more than WordPress.com offers or allows. However, it’s a great option if you want to start with a free or low-cost blog, and upgrade to a more fully featured site in the future, because you can export your site content and import it into a new WordPress.org site. I have helped clients with this transition from WordPress.com to WordPress.org. Note that one of the limitations of a WordPress.com site is that it doesn’t include email addresses at your domain. You would have to purchase that through G Suite (formerly known as Google Apps) or Office365 or some other service, and then connect the domain name. This is an additional cost and setting it up can be confusing. The popular paid plans are $36/year (Personal) and $99/year (Premium). These plans include a domain name renewed annually and removes unwanted ads. The Premium plans offers more themes and design customizations as well as the ability to monetize your site with advertising. WordPress.org is free software, but you must purchase a separate domain name and hosting account to run it on. This is often referred to as “self-hosted” although you are still paying for someone else to host the site for you. But the key is that you are not restricted to any particular web host or domain registrar. Go Daddy is a commonly used domain registrar (although there are many others). Popular web hosts include Bluehost, SiteGround, DreamHost, HostGator, and others. Prices range from about $15-20/year for a domain name and ~$100-120/year for a basic web hosting package (it’s typically not necessary to purchase a WordPress-specific hosting plan). When comparing costs, be sure to look at the renewal cost of the plan, as many hosting companies try to lure in customers with very low introductory rates for domain and hosting. With WordPress installed on your own hosting site, you have a lot of flexibility and control over your website. You can install a variety of plugins to add functionality to your site and you can choose from any free or purchased design templates for WordPress. You can also create website folders and upload files outside of the WordPress platform, like installing MachForms to add forms and contracts to your website. Having a self-hosted site gives a you a lot of options for what you want to do with your domain name and your web site, and getting started is fairly easy, with most hosts providing a one-click install for WordPress (without needing to download software or configure anything). Hosting plans also typically include 5 or more free email accounts hosted at your domain. I highly recommend using email at your domain for marketing purposes (like me@kelleykphotography.com versus using an address @gmail.com). It looks more professional to have email at your own domain, and your website address will be included every time you send an email. Using the WordPress software on a self-hosted site is my personal preference for web sites, because of the flexibility it provides. I’ve designed many WordPress sites for myself and for clients, and currently host and manage over a dozen WordPress sites for clients. If you’ve heard of ProPhoto, that’s an add-on for WordPress.org sites that is popular among photographers. Some people swear by ProPhoto because it adds a lot of built-in functionality to a stock WordPress web site. Unfortunately, this extra functionality adds a lot of complexity over a standard WordPress site, and it comes with a high price tag ($199). ProPhoto includes some free designs, or premium design templates for ProPhoto can be purchased at prices ranging from $60 to over $300. Between the cost and the complexity, I’m not a fan of ProPhoto. But if you start with a regular WordPress site, you could always add ProPhoto in the future if you want, and you would be able to keep your web content (like all your blog posts). The other popular alternative to WordPress is SquareSpace. SquareSpace is a packaged solution like WordPress.com, where you are paying for your web site as a service, with the software and hosting both provided by the same company. Like the WordPress.com service, SquareSpace sites are limited in the functionality and customizations you can do by what SquareSpace offers (versus the self-hosted WordPress.org, which has a ton of free plugins to add functionality and design options). SquareSpace offers tiered pricing from $144/year for a Basic plan to $312/year and up for a Commerce plan. There are also additional annual costs for a domain name ($20/year after first year), and 2-3% transaction fee on sales, in addition to the payment processor fee, unless you have a Commerce plan. Like WordPress.com, SquareSpace also doesn’t include email addresses at your domain. These can be purchased for $50/year for one G Suite email address (free for first year with Business plan and Commerce plans). If WordPress or SquareSpace seem like more than you want to take on, and you’re really just hoping to display or sell photos online, the other alternative you could consider is going with a photo hosting platform versus a web hosting platform. SmugMug is my favorite option for this (referral link). I have used SmugMug to host personal photo galleries since 2009, and I highly recommend them for a site that is primarily for photo sharing.Their Basic plan is only $48/year, and the Power plan is $72/year. If you want to sell photos through SmugMug, you’ll a Pro plan for $150/year. Zenfolio is another option, although I feel it’s more geared toward professionals who want to sell images. The Zenfolio Starter plan is $60/year, or to sell photos, you would need the Pro plan for $240/year. Both SmugMug and Zenfolio have some ability to make blog-style pages, but they aren’t exactly blogging platforms. Hopefully this has given you some direction if you are planning to create a new website or re-design an existing one. If you have any questions, leave a comment below.